B, C to 72 or 81 St.
A, B, C, D, 1, 9 to 59 St.
1, 2, 3, 7, 9, N, R, S to 42 St.
B, D, F, Q, N, R to 34 St. The area around Times Square will be blocked off by late afternoon or early evening. Police crowd control measures channel crowds into distict areas, separated by barricades. Each area is only accessible by one or two directions. Much of Midtown West will be closed to traffic, this means that most of Midtown West will be impassable by car, bus, taxi and bicycle and will be very slow moving by foot. The spillover effects will be felt from 14th Street to 86th Streets on the West Side and the Midtown Tunnel to the 59th Street Bridge on the East Side. Increased riders will affect all subway lines through the Times Square area, some stations in the Times Square area might be closed or bypassed. The Port Authority Bus Terminal, Penn Station and Grand Central Terminal will be very busy. Monday, Dec 31, 2012 from 6pm-Midnight look forward to see you! Times Square Ball Drop View Room is non-cancelable and non-refundable. 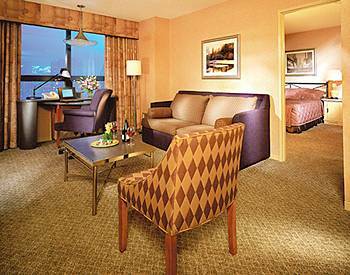 Upon booking we will provide you a hotel confirmation specifying Times Square Ball Drop View category, $1999 plus tax will be charged by the hotel to hold the room. P.S. 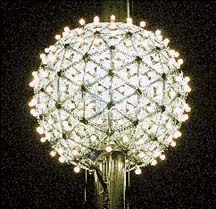 Don't forget the raising and lighting of the Times Square New Year's Waterford Crystal Ball Wednesday, Dec 31, 2008, 6:00 pm Times Square Flagpole.